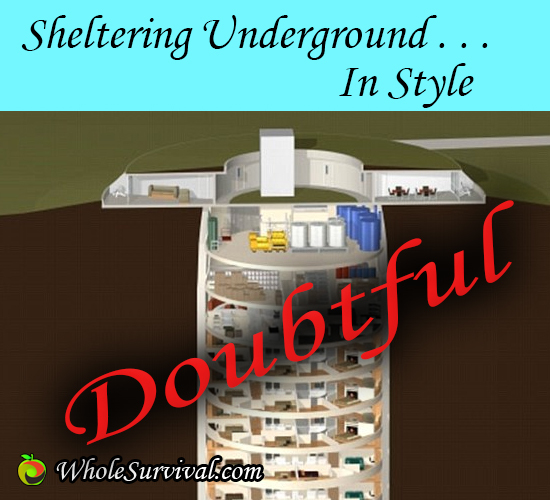 In my quest for ever more prepper information, I came across the site of a high end real estate developer that is catering to the growing concerns of the realization that the SHTF may actually happen in the near future. The Survival Condo project is an undertaking to convert an Atlas Missile Silo into a fully self-contained and secure “Luxury Survival Condo and Resort” for extended off-grid living in the event of a major disaster or emergency. The silo is located somewhere in Kansas, the exact location is not revealed in any sources as they would prefer to keep it a secret. WIth a little bit of research however, I'm pretty sure I figured out exactly where it is.